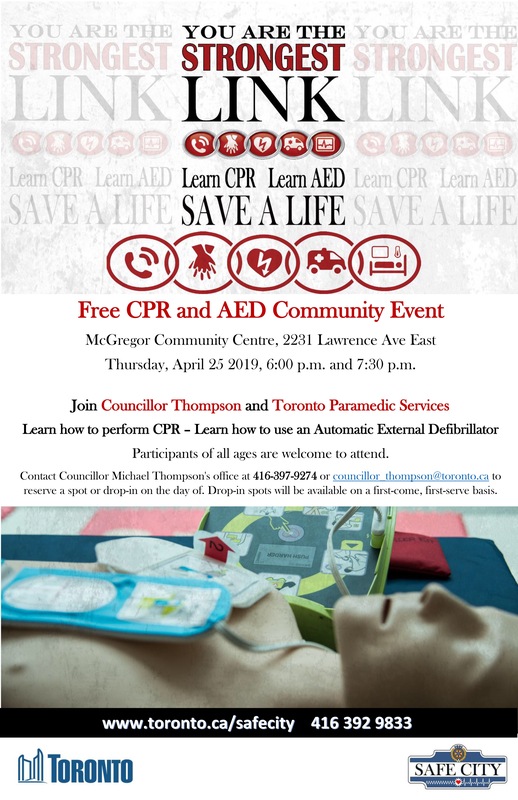 Join members of the Toronto Paramedic Services and I for a free CPR and AED class. Call or email my office to reserve your spot as drop-in spots will be available on a first-come, first-serve basis. This will be an informative and potentially life-saving class but please be advised it is not a certification course equivalent. 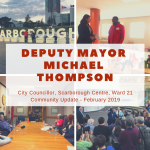 I would like to register for the free Scarborough-Centre CPR and AED Community Event on April 25th.